The 70th Primetime Emmy Awards were a revolutionary, groundbreaking event that changed literally everything we thought we knew about what the typically tired, outdated, and boring ceremony, and it has nothing to do with the fact that it had two hosts, that streaming services won so many awards that Netflix’s stock price got a boost, that the guy who directed the Academy Awards proposed to his girlfriend, or that Donald Glover was at the event as two separate people. The revolutionary thing was that it was on a Monday, so while you could argue that it was just as tired, outdated, and boring as usual, it at least had the novelty of being those things on a Monday. We’re not entirely sure why it was on a Monday (maybe so TV people could get a regular weekend? 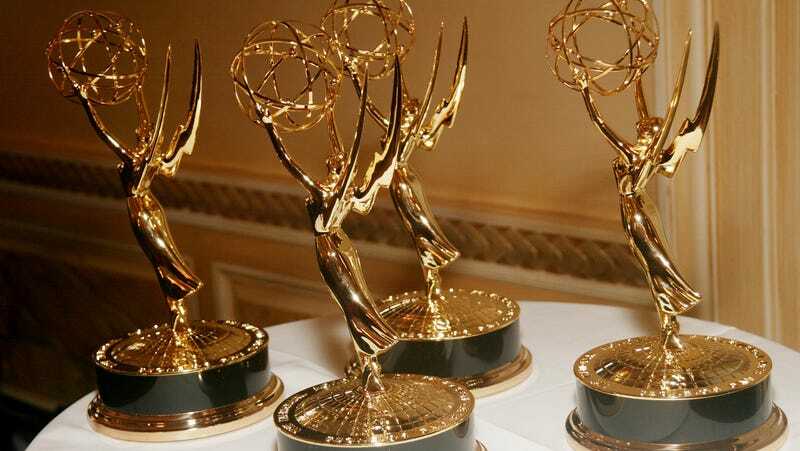 ), but the schedule shift obviously didn’t set the world on fire or make the show any less boring, because the 71st Primetime Emmy Awards will be moving back to Sunday (specifically September 22) for next year’s broadcast. The show will be on Fox this year, which previously might’ve indicated that we could look forward to some of that edgy Fox humor, but since the network’s parent company is selling off all of its good stuff to Disney, the network these days is more concerned with catering to the easiest demographics with simple, safe programming like Last Man Standing and a couple of animated shows that should’ve ended a decade ago (not Bob’s Burgers, which is still good and will be good forever). What we’re saying is that next year’s Emmys will be just as boring as they usually are, and they’ll be boring on a Sunday again. Of course, Fox hasn’t announced who will be hosting, so there’s still a chance someone exciting could get that gig. So if it wasn&apos;t Donald Glover, who was dressed as Teddy Perkins at the Emmys?